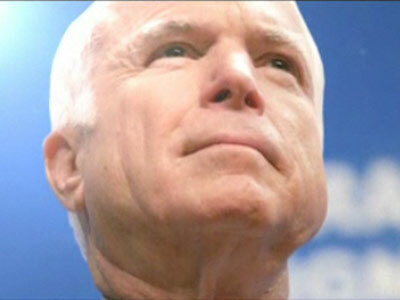 John McCain, won’t approve this message … or will he? Now that the Obama campaign has announced Senator Joe Biden as his running mate, the McCain camp, according to the BBC, “has been raking through the Democratic primary archives for quotes by Hillary Clinton and others for use in adverts and press releases questioning Mr Obama’s experience”. “The power to this message is that you’re using the Democrats’ own words,” said Republican strategist Scott Reed. It is a strategy that could well backfire. If Obama withstood the onslaught to secure his party’s nomination, why should the strategy be any more effective against him when McCain raises the ghost of inexperience? Experience is not a criterion for the US presidency. George W. Bush’s presidency has not improved in his second term with the experience he gained from the first; and Bill Clinton who held two of the most successful terms in recent times if officially debarred from offering his valuable experiences for a third term. The lessons: success is determined by the incumbent’s own skill sets, the advisors assembled and the domestic and international conditions inherited or thrust upon the office holder. What would have prepared Bush for the devastation of Osama Bin Laden’s Al Qaeda’s viscious attack on Manhattan? The use of domestic passenger planes as airborne missiles by jihaddists had had no precedence, although they had rammed the World Trade Centres previously with explosive-laden trucks, the most severe attacks on US targets had been abroad in existing trouble spots like Somalia. More important was how the administration marshalled its resources to counter the assault and extinguish the prospect of further occurences using its intillegence, its military and its international relations. What the world has experienced is a botched war in Afghanistan, squandering of moral capital with European and other allies and a fiasco of a war to depose Sadam Hussein in Iraq, which, rather than drawing jihadis to a US killing filed, has eroded American moral suasion to the point where Russia can now trample all over tiny Georgia in pantomimic parody of the botched US adventures. The touted McCain experience in international military affairs has been his detention and inhumane treatment as a prisoner during the 16-year Vietnam. It was a war which we are told the US had not been fighting to win and it left thousands of young Americans dead or missing in action and did not result in the fall of the communist Viet Cong and the North Vietnamese army. What resulted was a single communist Vietnam in 1976, a year after the American withdrawal. What McCain should have learned is that while the 1991 invasion of Iraq by the first George Bush could have been justified based on the Iraqi aggression against Kuwait, the most recent edition, premised on the declared war on terror stemming from the Sept 11 attrocities, had no basis in reality as Sadam Hussein, a rabble rouser and oppressor of his people was a secularist and had no Islamist intentions or ties to Osama Bin Laden, Al Qaeda and their Taliban fundamentalist zealot associates. He should also have learned that the frist five years of what he envisages as a possible 100-year war, has sucked about a trillion dollars from the US economy, senselessly taken the lives of many innocent US soldiers and Iraqis and played no little part in driving the price of oil, which in turn drove up other commodities and festered more discontent around the globe. In tandem with the litral decline of the US economy and the spread of the idea of a globalized economy with states having little control over matters of trade and prices, the US has become a mere virtual superpower whose former military might has been circumscribed by its own moral ineptitude. Many now balk at the buyup of blue chip American companies and iconic real estate by foreigners who also hold much of the growing US debt, a reversal of the American corporate adventures around the world. McCain has already acknowledged his ignorance of economic matters. Unless the fly-boy who was shot down and tortured learned a dislike for war as a first option and to embrace international morality and cooperation he will have had no beneficial expereince to share as the occupant of the White House.